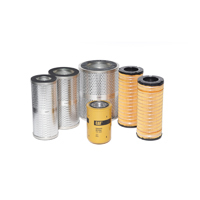 Cat® engine air filters are designed for maximum protection and optimum performance. Standard efficiency elements - durable construction to handle the most rugged applications with the best capacity in the industry. 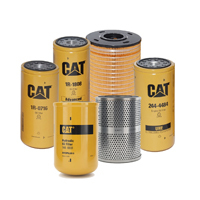 Ultra high efficiency elements - the best early hour efficiency and the longest life available for your Cat equipment. 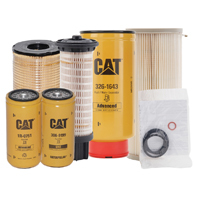 Cat cab air filters provide a cleaner, more comfortable cab environment. Higher efficiency options for improved dust and particle reduction. Options available for improved odor reduction. Long life and optimum cab environment protection. 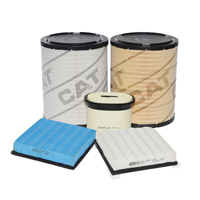 The Cat Turbine PreCleaner significantly lowers owning and operating costs by giving your air filter a longer life. Construction, mining, forestry, landfills, farming, and more. Expels all types of mixed debris, including mud, snow, rain, leaves, sawdust, chaff, dust, etc.